So that Final Fantasy VII Remake, eh? I’d ask the question of who’s excited, but we all know that’s a pretty rhetorical one at this point, because the answer is, obviously, that everyone is bloody excited. Even so, after the news broke that the long-awaited remake was to be sliced-up and released as part of an episodic structure due to the project being so huge, many fans of the original started getting that feeling of worry in their gut that each episode would be but a mere few hours long. 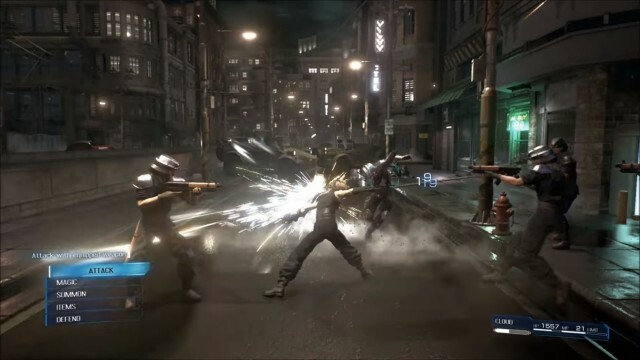 But don’t take that to mean the remake will be borrowing anything else from XIII; a series entry that has divided fan reception between the two camps of terrible and very enjoyable. In XIII, each instalment told the story from a different angle. It was kind of like approaching an unknown territory in a sense. Whereas with Final Fantasy VII Remake, we already have a pre-existing story, so it wouldn’t really make sense if that isn’t encompassed in a multi-part series. With that said, things will inevitably change between the original and the remake – we’ve already seen such things with the short trailer revealing its combat. Kitase, however, says that the game is in safe hands, and that both he and the rest of the team know what they’re doing, having been with the series from the very beginning. I, along with Nomura-san and Nojima-san–who are involved with the remake–were also involved with the original Final Fantasy. We were the people who created it, so in that sense, we don’t think anything is untouchable. That isn’t to say we’re changing everything! Square Enix have yet to provide a release date for the first episode of the Final Fantasy VII Remake, but expect to hear (and see) more on the game at this year’s E3 in June.